Britannia Art Gallery exhibitions submission program is open to both leisure and professional artists and artisans, school groups or community groups including artist collectives. Applicants must live or have a studio within Britannia's catchment area which extends from Main Street to Nanaimo Street, from Broadway to the south shore of Burrard Inlet. 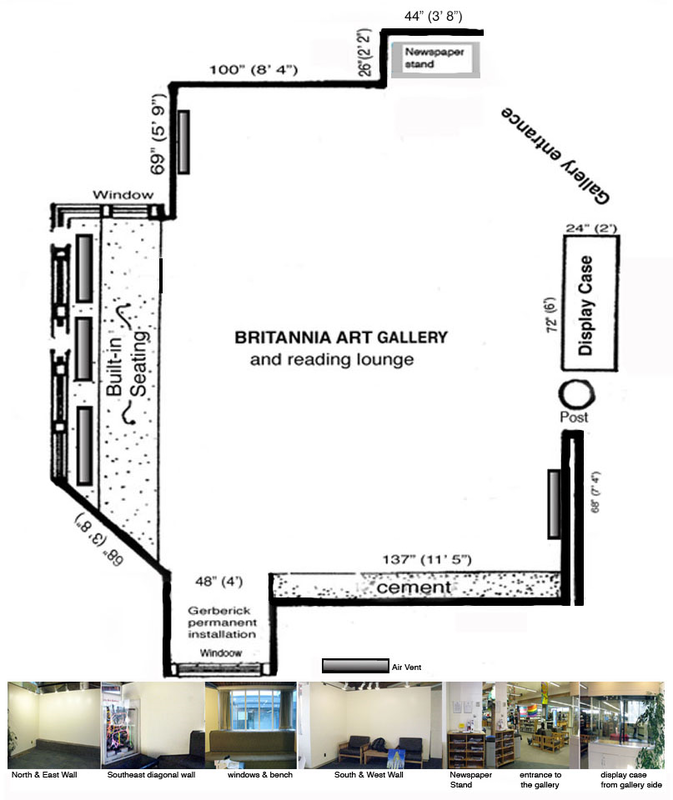 Britannia Art Gallery Exhibition Application form for 2019. Deadline for 2019 applications was November 30, 2018 and are now closed. or leave a message at 604.718.5800 (1). Showcasing the work of local artists in the Adult Lounge of the Library. Everyone welcome!